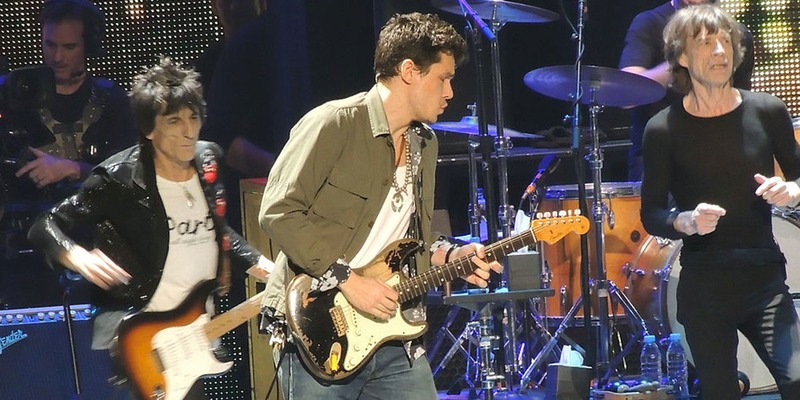 At a concert in Boston last night, John Mayer unveiled what appears to be a totally new PRS model. The pop–blues guitarist posted an image on his Instagram account with the caption: "B O S T O N you will always have my heart. And also... it has been unveiled. @prsguitars". As seen in the image, the guitar has a definite Strat–like body shape, but with hallmark PRS elements, including bird inlays and a curved headstock. Mayer's association with Paul Reed Smith dates back to 2014, following his much–publicized break with Fender. To date, the collaboration between Mayer and PRS has resulted in the limited run, private stock Super Eagle model, along with a new amp — the J–MOD 100 — which debuted at NAMM this year. "As you know, we have been collaborating with John Mayer for some time now. On his current tour, he recently played a prototype of a guitar we have been working on with him and posted a great pic on social media. We are thrilled that John is enjoying and using this guitar. That has been our hope, and it is nice to see his support of PRS Guitars continue. The virtuosic bluesman behind such hits as Your Body Is a Wonderland announced via twitter this week that his relationship with Fender had come to an end.